Man, little hands make lots of work sometimes. to keep my toddler busy. I have found for Guinnyth to do during the busy mornings. I didn't come up with these on my own. Full credit goes to Pinterest. What I love most is that I had to spend $0 on these activities. which is a major plus! 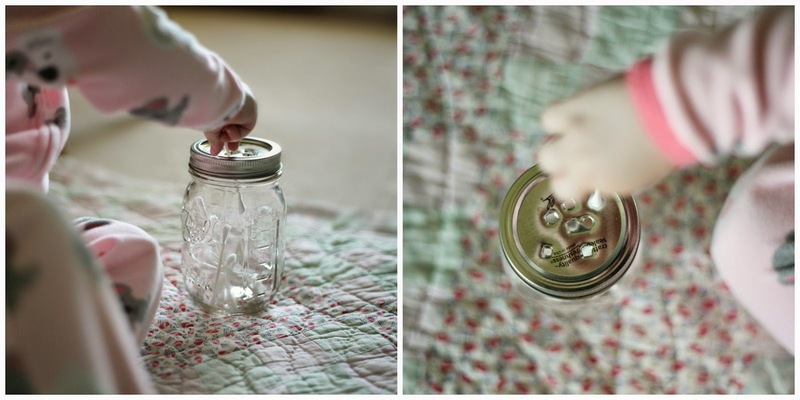 "poke a hole in the top of a canister and stick q-tips into the holes" activity. and keeps kiddos entertained for quite awhile. and q-tips (or tooth picks for older toddlers). 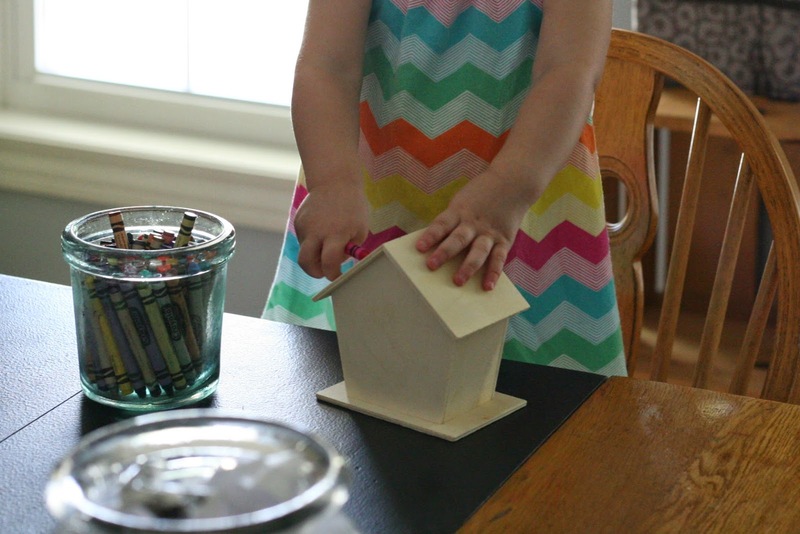 This is an easy game to whip up for any kiddo. *Next, I bring you the "colander" activity. Guinnyth loved sticking them in the holes. have them weave the pipe cleaners through the holes! *"Egg Carton and Pom Poms"
Simply hold onto an old egg carton and throw some pom poms in the lid. drop one pompom in a hole at a time to work on coordination. *Lastly, I bring you "birdhouse painting,"
except, there is no paint involved! so she couldn't care less about paint. I whip out the markers and it's like brand new all over again! This bird house was $1 at JoAnn's. give them gems that have "sticky" on the back and let them bling it out! 4 of the best, cheapest toddler activities! Adorable ideas and my daughter would enjoy every single one! Thanks for sharing this week on the #SHINEbloghop! Great ideas! My daughter is obsessed with q-tips so I will definitely be using our container for that activity today! so simple and easy!!! try it and let me know how she likes it! yes! there are more ideas on my pinterest board. i bet he will love them! Great ideas! 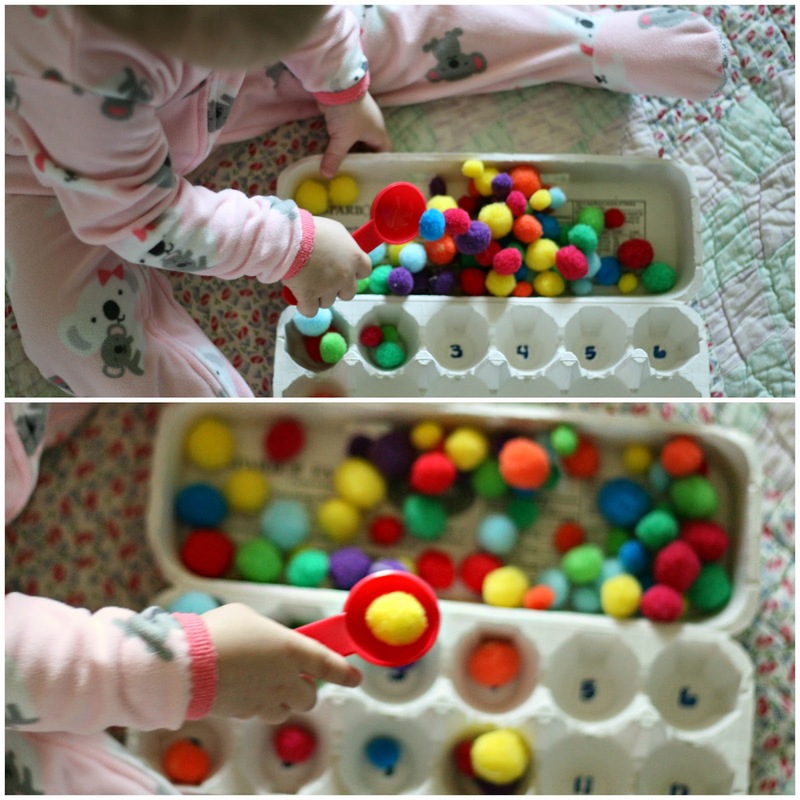 I'm going to try the pom pom's and the egg carton activity with my son today! a simple way to use something that would otherwise get tossed! enjoy! Wow I love these ideas! I'm always looking for self entertaining activities for my toddler! I like the egg carton and pom poms most. I will have to put together these activities for my son! How simple are the first 3 activities?! I never would have thought of them! Can't wait to give those a try with Mia!